Since the launch of Google+ this year, I still can’t help but wonder whether the so-called Facebook killer is flawed at grass roots level simply because of its name. How do people really refer to it? Is it Google+? Or Google Plus? I have always had an issue with brands or domains that are ambiguous in their spelling or interpretation. I don’t think it helps consolidate a brand identity and for that reason I feel it’s something that branding or design agencies should note. 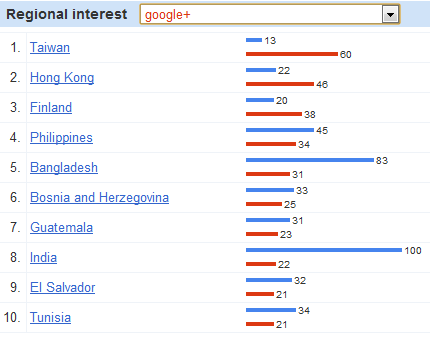 According to the trending data from the last 30 days, Google Plus trends higher than Google+ in search. 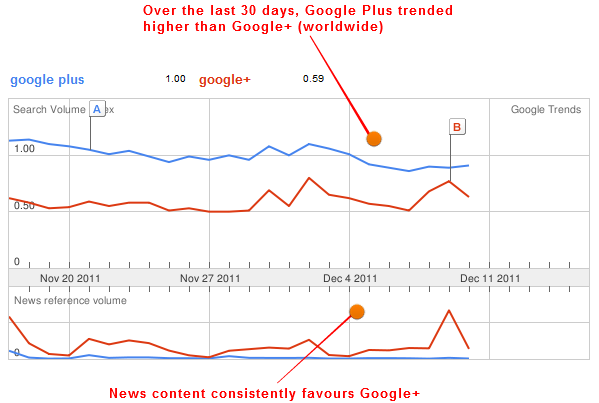 The trend reverses in the news index where website content refers to it the correct way rather than as Google Plus. 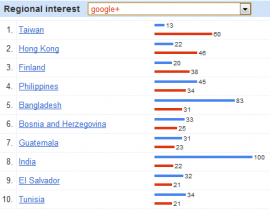 When it comes to geographic differences, there are some distinct trends. 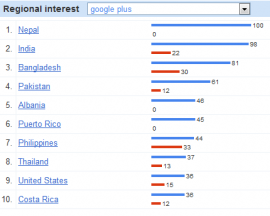 In countries such as India, Pakistan, Nepal and Bangladesh, Google Plus trends higher. Whereas Far Eastern countries such as Taiwan and Hong Kong refer to the correct spelling. 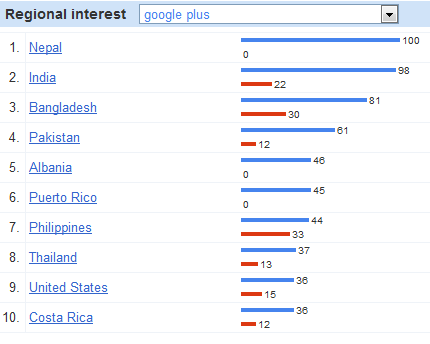 When measuring correlations using Google Correlate, Google+ correlated strongly with Google Plus in the US. 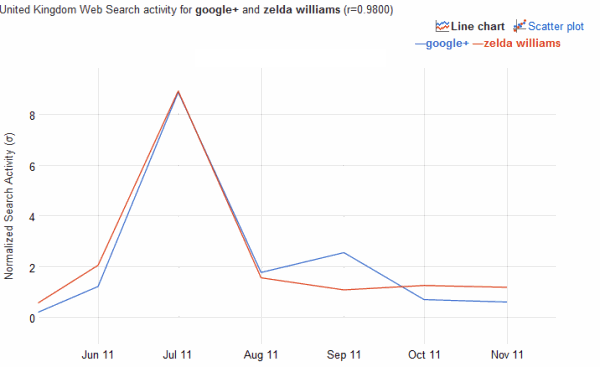 However in the UK, Google+ correlated most strongly with Dobara – a Hindi film, and Zelda Williams, daughter of comic actor Robin Williams! We’d love to hear any explanations of that correlation!